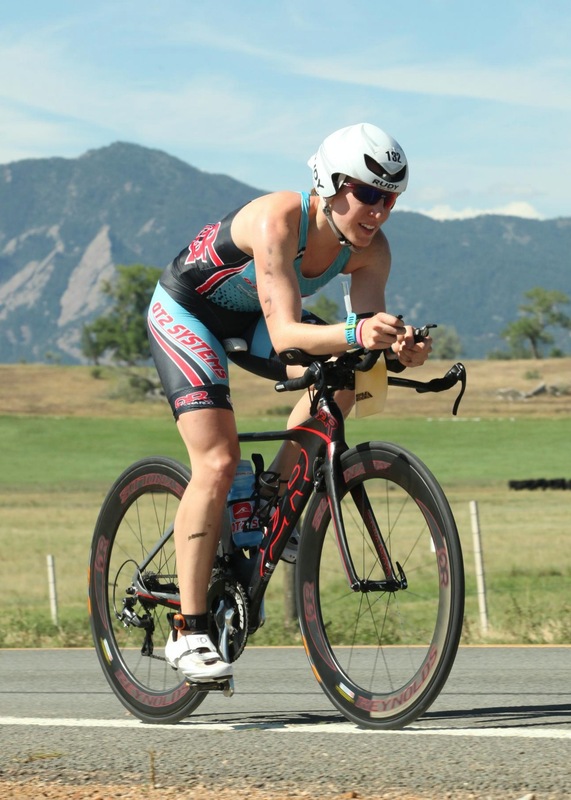 When I saw the Boulder 70.3 listed as one of QT2 key team events this year, I knew it was one I wanted to do. I’ve always wanted to visit Colorado, and I even have family out there that I haven’t seen since they moved out from the East Coast years ago. Luckily, it fit well into my race schedule, about 6 weeks out from 70.3 World Champs, so I registered for the race and planned to spend the week after training and vacationing. My Mom was able to join me, as her two brothers live in Fort Collins, where we would be staying for the trip. The one thing that worried me was the altitude. You can definitely feel it coming from sea level to over 5,000 ft. I knew I wouldn’t be able to get out there 10 or more days ahead of time to acclimate, so I took the second best option – get out there 2 days before, to minimize the effects before the race. 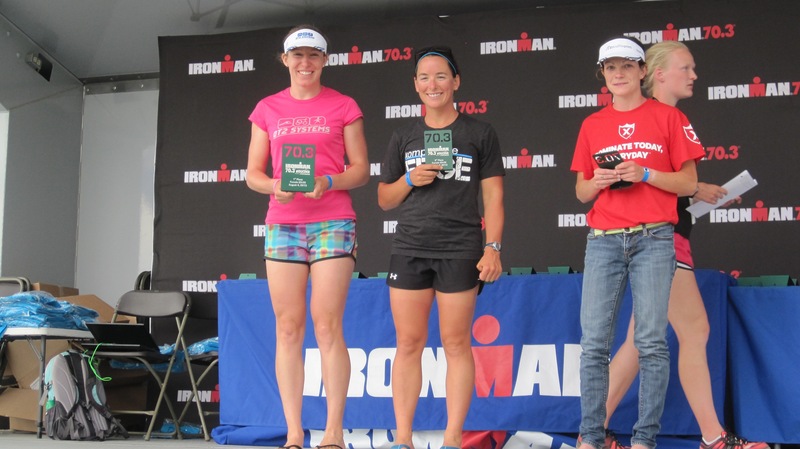 I had never raced at altitude before, so I wasn’t sure what would happen! We got into Denver on Friday afternoon, and made our way to Fort Collins and had a nice dinner with my two uncles and aunts. On Saturday, I made a pancake breakfast for everyone, built up my bike and took it for a little spin to make sure everything was in working order, and drove down to Boulder for race registration. The rest of the day was spent laying around, eating, and getting some quality time in the Normatec boots. Checking in at the race site! Race morning started early, getting down the race morning applesauce feast before making the hour drive down to Boulder. I was psyched to find out that I had another end transition spot (3rd time this year!) close to the front, making it super easy to find. And it was right in front of the line of porta-potties, which was both really great, and really gross. 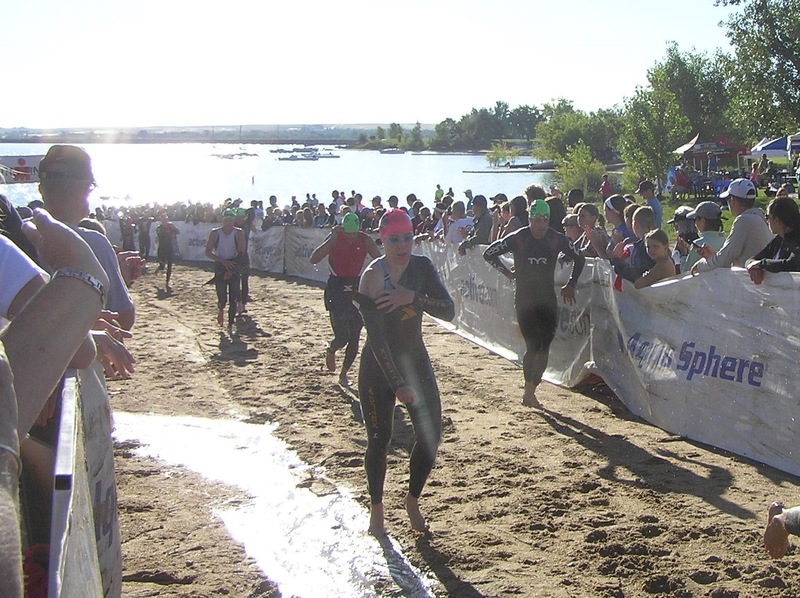 I had just enough time to get my tires topped off, set up transition, and get into the water for a quick warm up swim. They had a section of the water roped off for warm up, but it was crazy crowded and difficult to really swim through. Soon, it was time to line up for the swim. They implemented a new swim start for this race, with self-seeding by expected 1.2 mile swim time. So, the first group was 30 mins and under, then 30-32, and on and on. This was great because I would be able to swim with other people around my speed, and not worry about having to swim around slower people from previous waves. But, it wouldn’t allow me to go head-to-head with the other women in my AG. Even so, I think the benefits of being able to swim with fewer interruptions made it worth it. Get me outta this wetsuit! 1st loop done, 1 to go! It was so great to have the support of my family there. 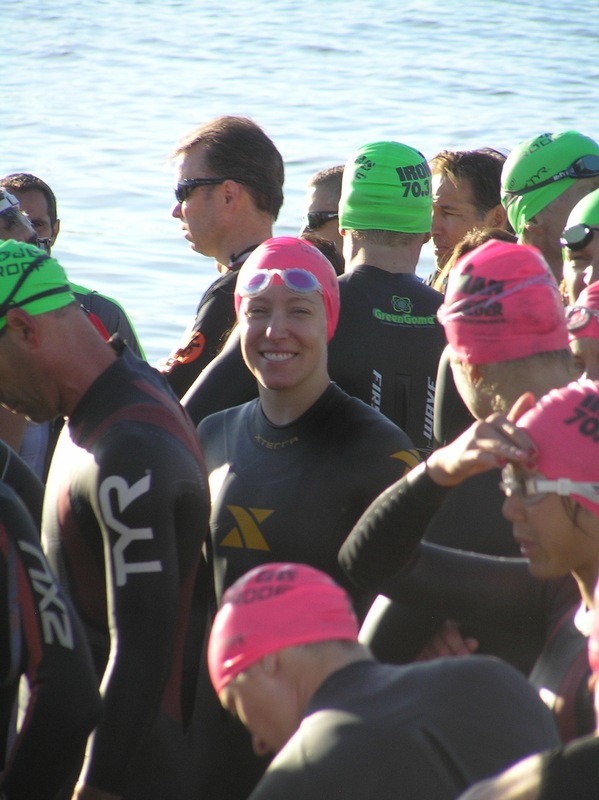 I saw my Mom, Aunt, and Uncle at the swim start, T1, T2, and on the 2 loops of the bike course. 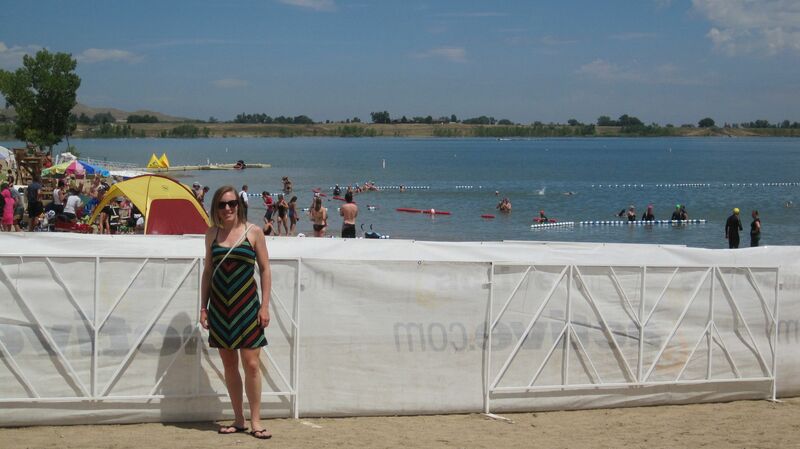 My Aunt and Uncle had never been to a triathlon before – it was great to be able to share the experience with them! And my Mom is such a trooper – she stayed with me for hours after the race waiting for the awards ceremony! It was also good to see my teammate Doug out on the course – his cheers and support during the run loops were much appreciated! Thanks to Tim and QT2 Systems for giving me the confidence and ability to race in a new environment. All the details were taken care of, and I knew what I needed to do to be successful out there. And a big thank you to our awesome QT2 sponsors – especially Quintana Roo for a bike that didn’t give up on me all season, Powerbar & Nuun for keeping me super hydrated and well-fueled so I could race at a higher altitude, and Be Well Boston & Normatec for supporting my recovery from training & racing. And can’t forget about Brian and the guys at Fast:Splits for keeping my bike running smoothly and helping me get just a little more aero! Nice work Kaitlin! Keep up the good work!